Receiving positive feedback always rocks our world as we usually put it, however, our longstanding customer’s Bruce reference really made us blush. “I’ve been servicing my car at Brent Autos for 6 years. I’ve always found Mike (the owner) to be a reliable, honest and an experienced mechanic. He always tells me exactly what work he plans to carry out and does not do extra work without seeking my permission first. Also he always clearly itemises his invoices. A couple of years ago I had an engine management fault on my VW Polo. I initially took it to a main VW dealership, who wanted to charge me for expensive diagnostics and new parts with no guarantee of being able to fix the problem. Dissatisfied with VW’s attitude I took the car to mike who after much patient work was able to fix the problem at a reasonable price. Thanks a million for your loyalty and flattering words, Bruce, always a pleasure serving you. 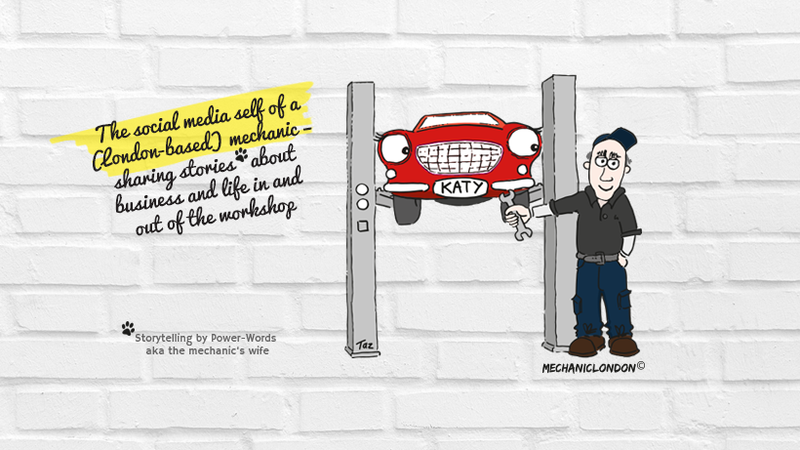 For more mechanic humor, click on the ‘mechanic tag’ on the right hand side.